Click on the image to see related images in the series. 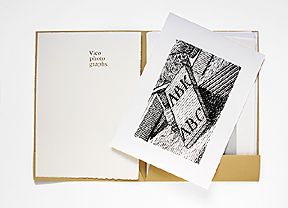 The Vico photographs portfolio consists of twelve silver prints and is published in an edition of twenty (13" x 18"). The photographs were taken at The Greenwood Press and the Bancroft Library (New Science, Vico's 3rd and final edition that was published in 1744 by the Stamperia Muziana, Naples). 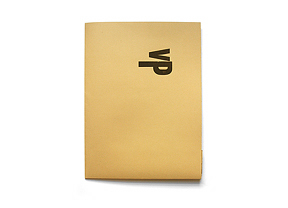 Published along with "VICO wooden letters," a portfolio of prints by Jack W. Stauffacher, together forming "The Vico Collaboration."